Since 1980 Elite Janitorial has been a division of Chiro, Inc, an employee owned company. 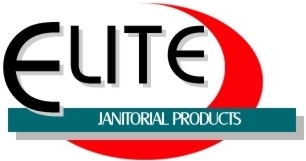 Elite Janitorial has been providing janitorial firms with quality products and supplies. While we have always been a commercial supplier of top quality industrial strength cleaners and equipment for any and all clean up, polishing or maintenance jobs we also offer these industrial quality products to the general public. Our Janitorial Equipment Repair Division sells and repairs automated janitorial equipment. Elite is committed to offering the best of current technology in building and floor care machines. We provide parts and repair services for all types of cleaning equipment. In addition, Elite Janitorial Equipment Repair is a factory authorized service center for some of the best automatic scrubbers, floor buffers and polishing equipment. At Elite Janitorial we offer only the highest quality products and supplies in the industry.